Sifu Master Paul H. Borisoff has instructed the Art of Kung-Fu San Soo for 42 years. 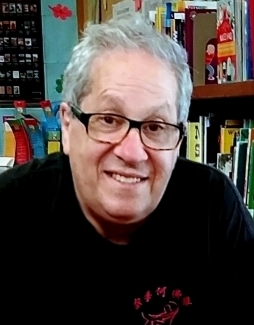 He has instructed classes for The Los Angeles Unified School District, Los Angeles Pierce College, L.A. Recreation & Parks, The YMCA & YWCA and The Woman’s Workshop. He leads this incredible program. Master Paul H. Borisoff began his study of the art of Kung-Fu San Soo in 1975, under the tutelage of Master Charles W. Cory. He became an assistant instructor at the North Hollywood facility in 1977 and continued until opening his own school in November 1978. He was awarded the degree of Master in 1986. He has also trained with Grand Master Jimmy H. Woo in classes offered by the first International Kung-Fu San Soo Association. 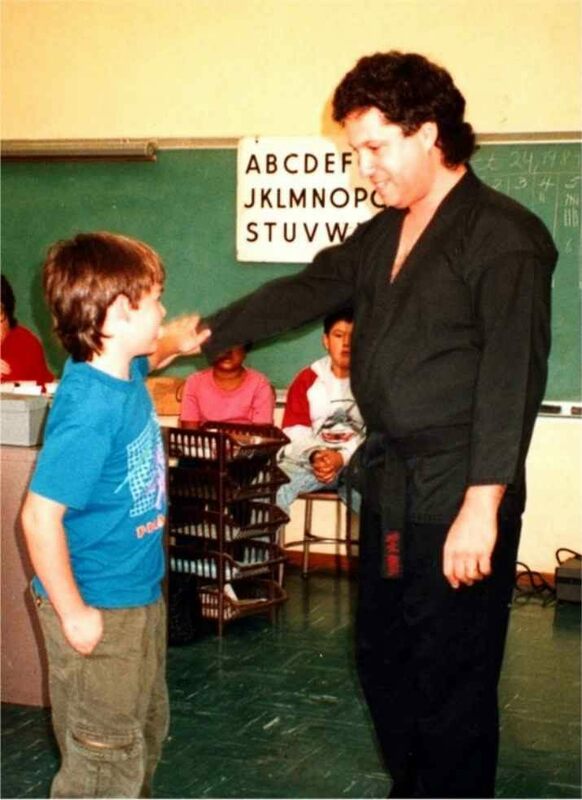 Master Paul H. Borisoff has taught Kung-Fu San Soo for Los Angeles Recreation & Parks (6 centers), Los Angeles City Schools (In-service classes for teachers and school nurses). He has instructed for the YMCA, YWCA, Woman's Workshop and North Valley Jewish Community Center. Master Paul H. Borisoff is committed to instructing the Art of Kung-Fu San Soo, as taught by Grand Master, Jimmy H. Woo. As a classically trained violinist, he understands the necessity of staying the course; keeping it pure and unadulterated. Master Borisoff holds the view that the process of learning San Soo is long and at times arduous. As such, he believes that there is a great temptation for the school owner or student to take an easier, more immediately profitable path. It is not uncommon for some instructors, he continues, to "adjust" the their lesson plans to contain elements of the latest fad art. In the end he feels that the achievement of excellence in this art depends on repeated practice and persistence, and that a school owners integrity is staying loyal and committed to the system which he professes to teach. There is so much room for personal variation in this art, but one has to honor its precepts and foundational concepts. Paul H. Borisoff was born in Los Angeles and has a bachelor degree in Radio Television and Film, from California State University at Northridge. Since age 16, he has given Music and Photography instruction. He has worked in the fields of Medical Imaging, Camera and Lens Repair, Customer Service and Corporate Purchasing. 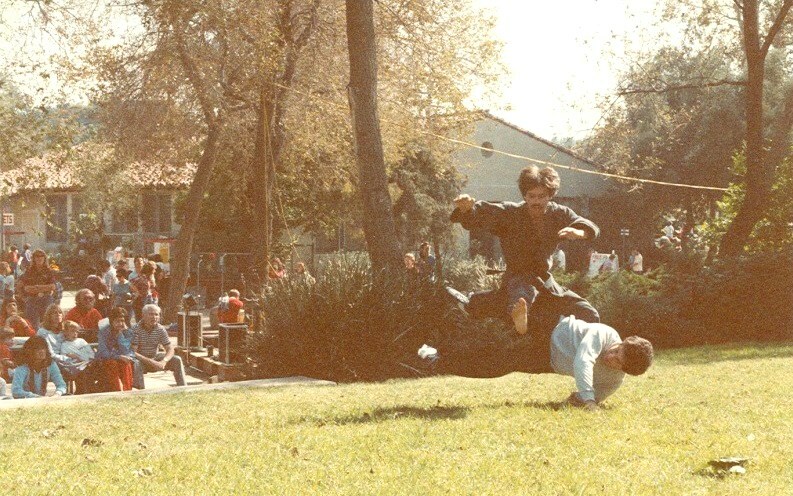 Sifu Paul Borisoff - Circa 1984 - Our First Pierce College Farm Walk Demo.